The duck with a blue beak, is that a fake beak? We saw one like that at the zoo! Thank you! Not fake, I believe it’s the male baby swan. I know right! They were so fluffy! I’m linked up right after you on WW!! Um, that blue bill is THE coolest! I bet he gets all the chicks. It’s meant to be LOL! 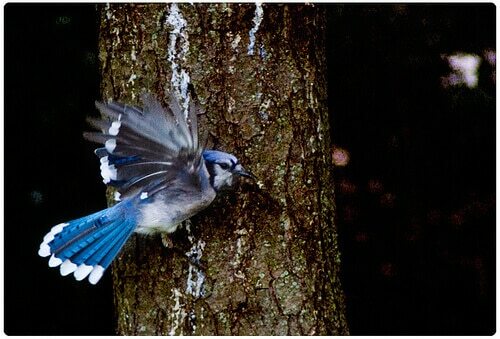 I was thrilled with the swan pics, but the blue jay ones…those are wonderful. Great pics! Thank you Amanda! 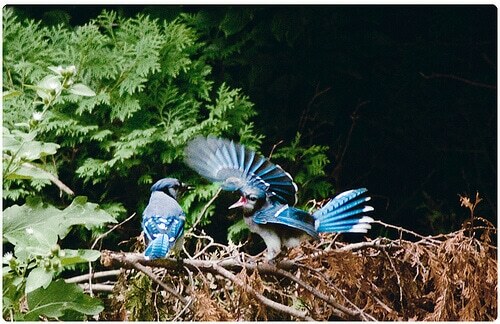 I’ve been so excited that we have 5 blue jays in our yard, I had never seen them before! Very nice! <3 The goslings we had at the pond across the street have lost all their fluff and are now hissy away at passerbys. Thank you! I am so taken with them, they are just so… BLUE lol! WOW I’m loving all the pictures, those birds are so beautiful! 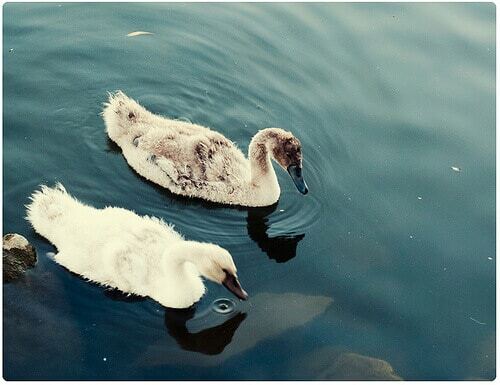 Love the baby swans. 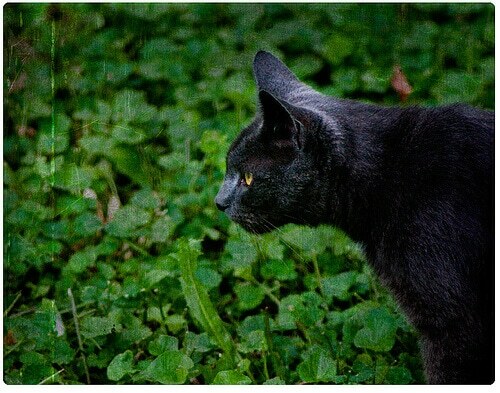 Nice captures on the birds and cat. 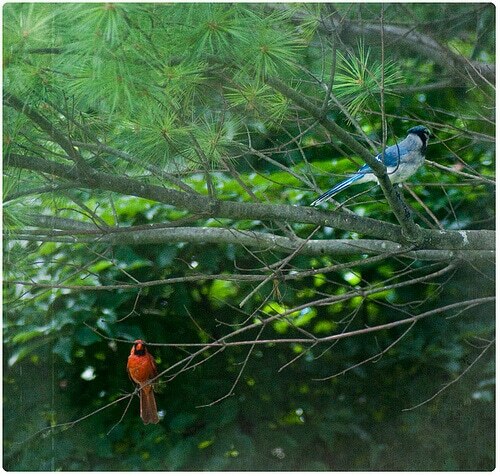 Wow a jay and a cardinal in the same picture. I would love to see a cardinal IRL. We don’t have them here. OMG seriously, I was BEYOND thrilled with those captures. I was only hoping a yellow bird would somehow come along so I could call it “Primary Colors” LOL. Great shots. That first one is so perfect it almost doesn’t even look real. Great job. And thanks so much for linking up for WW! Thank you! They are located at a little lake/large pond by us! It’s very cool! Those swans were majestic, and were those colourful birds in your yard? I am guessing so after the emergence of the great dark hunter! Thank you! Oh yes! The cardinals have been around since late winter / early spring, the blue jays are a totally new bird for us right now, I’ve not seen them EVER! 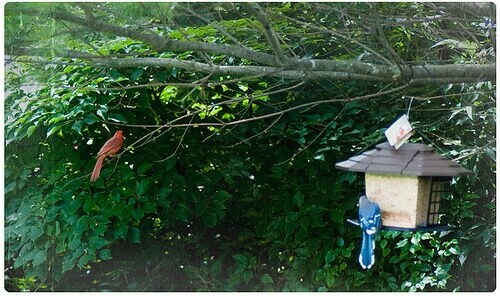 My boyfriend put up a bird feeder so I can watch them more frequently and they are coming out in droves, it’s awesome! Amazing shots! 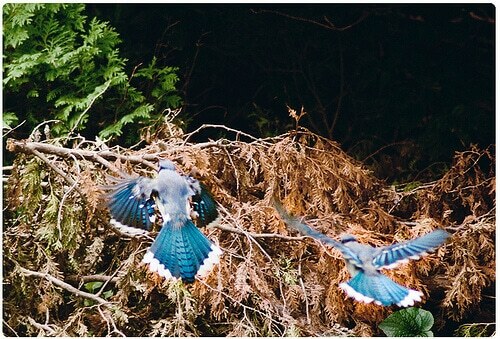 I love the second shot of the blue bird in flight! You always know how to make my eyes happy. :) Great shots! You are too kind, thank you!! Wow, what gorgeous photos! I love all the intense color. And the swans are great — an unexpected and delightful subject. 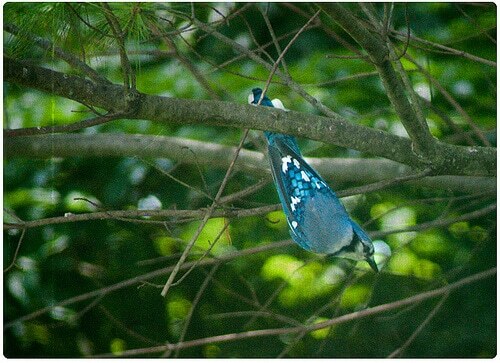 That blue beak is amazing and cool; what will Ma Nature think of next? Thank you! I thought they were so fluffy lol. I thought the swans were great but as I scolled down the Jays were even better. Beautiful images for WW! These photographs are just gorgeous!!! 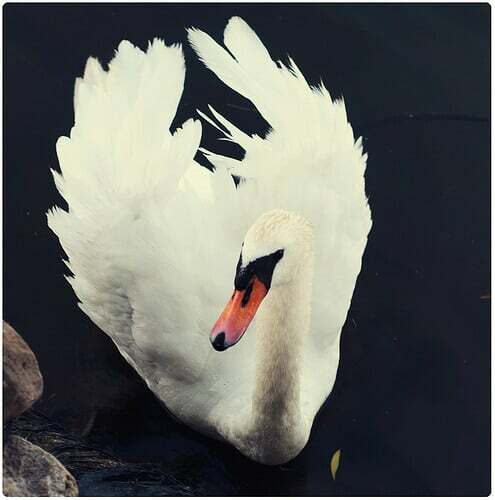 Your swan photos made me think of the “Ugly Duckling” story. They would be perfect for the story. You’ve got such wonderful talent and skill. I’m glad I’ve found you. 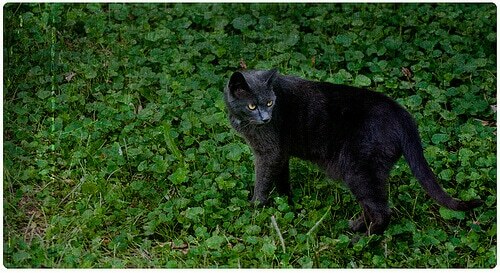 (Came by via Wordless Wednesday linky party). I’m looking forward to exploring your blog further. GREAT post! I love animals so much and therefore love this amazing post. 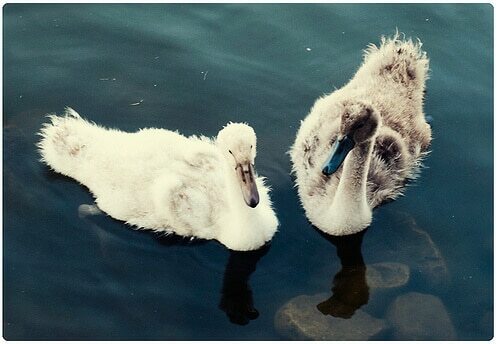 And WOW those cygnets are so beautiful and majestic looking. I wonder why anyone coined the name ‘ugly’ duckling and based it on them!?! Thank you! I thought they were just adorable and so fluffy. BEAUTIFUL! You should consider opening up a shop to sell prints of your photos. 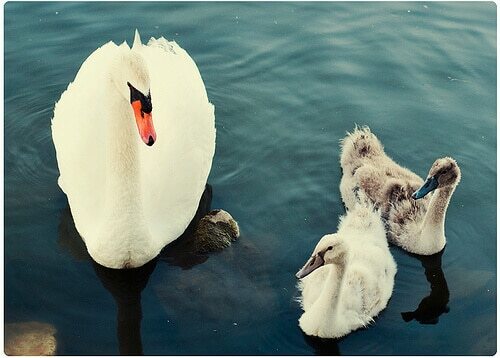 Those swan pix are gorgeous and I totally want copies!!!! Aww thank you! I wouldn’t even know where to start! 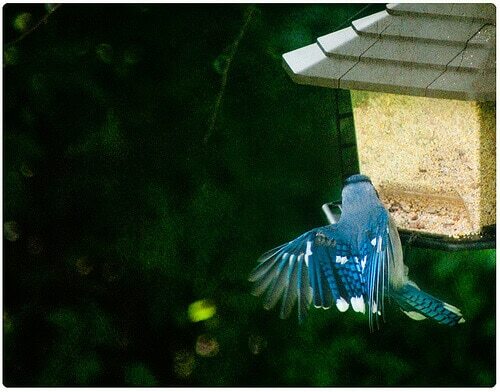 My family gets so much pleasure watching the birds who visit our bird feeder every day … especially all of the Blue Jays. Your photos capture their beauty perfectly. Thanks for sharing! Thank you so much! I had never seen them “in the wild” so to speak before, so this is just awesome for us! 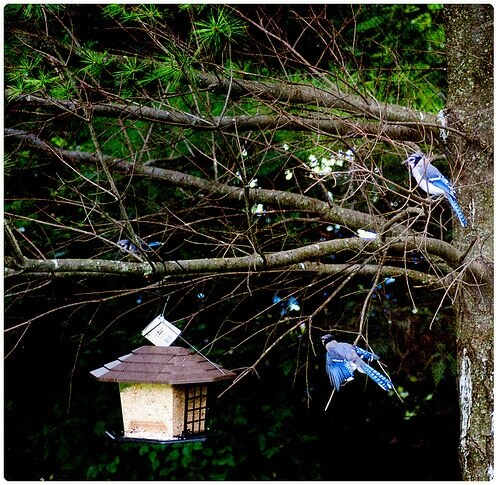 I’ll try to catch a photo of the Blue Jays at our bird feeder and I’ll send it to you!